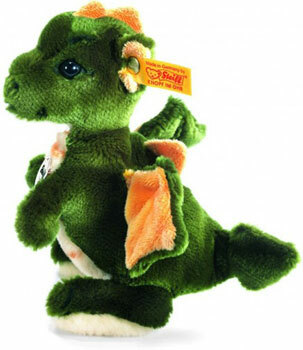 Steiff Raudi Dragon Boy Discounts Apply ! Made from the finest Green and yellow cuddly soft woven fur . Is machine washable at 30� C with safety eyes with CE mark, with brass plated "Button in Ear".